Disney World is a spectacular and magical place to take your family on vacation. Even today with all the new cartoon characters out there and different theme parks to choose from, Disney still holds a place in our hearts that we want to pass down to our children. A simpler time and place when fairies come to life, fairy dust is real, and there aren’t any remarks from cartoon characters that can only be truly understood if you are an adult or at least older than 15. 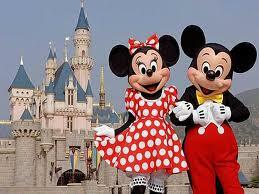 Disney World’s most magical aspect is its ability to make your money disappear right out of your pocket. No one denies that a vacation to Disney World is expensive, or that you do get a lot of entertainment for your whole family. That is why I hope to be able to suggest a few tips that will help save you some money while spending a magical and memorable vacation with your family. There are plenty of great package deals on trips to Disney World running right now. Even though summer is the peak season for a vacation to Disney World, you can cut your costs in half by doing a little research and finding the best deal that suits your needs. With packages that include airfare, hotel, and even meal discounts your trip to the magical world doesn’t have to cost you a bundle of fairy dust. One of the best ideas is to bring a backpack into the park with you. Fill it with snacks, water even sandwiches. Kid’s are always hungry and thirsty, no matter what they are doing so if you are carrying your own snacks and drinks you can save time and money. You can save time by not having to spend a lot of time standing in line for snacks or drinks and more important you can save money by not paying the high prices every time you child wants something to eat or drink. If you pack your lunch as well, you can save a bundle. Food and drinks are going to be one of your biggest expenses and packing your own is a good way to save a lot of money and keep within your budget. Don’t forget to pack and take the regular items you will need like sunscreen, film, and batteries. These items cost an arm and a leg in the park, probably more than food does. Especially if you have little ones, which I’m sure is the main reason for the trip, you owe it to yourself and your wallet to plan carefully the things you anticipate you’ll need for a full day’s outing. Most likely you won’t want to trudge all the way back to the hotel just because you forgot something because every minute counts on a trip like this and you want to make sure you make the most of it. Souvenirs are another big expense when you are on a vacation like this. My suggestion is that you only buy for your children so that they have something to remember this important vacation and buy something that will hold up and be a keepsake. You don’t need to buy a souvenir for the mailman, teachers, or the friendly neighbor next door, I’m sure they will understand. A good suggestion is, just like planning well in advance for your actual trip, plan ahead for souvenirs as well. Of course, you aren’t going to know exactly what is available at the park but you will have a good idea what will make a nice memento of your important family trip. Figure out how much money you can afford to spend on the each keepsake and as always stay within your budget. A vacation to Disney World is honestly a wonderful and magical trip for you and your children, one that won’t soon be forgotten and most likely remembered for a lifetime. However, there is no reason why you need to spend your life’s savings on it, with a little planning and forethought, you can have just as good of a time without spending a bundle. I’m a fan of Goofy myself if you feel the need to buy one extra souvenir! What are the Top 10 Engineering Works of Genius? How Much Americans Spend on Summer Travel?